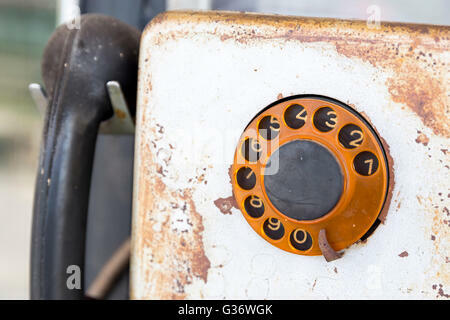 Rusty old vintage rotary pay phone for public use. 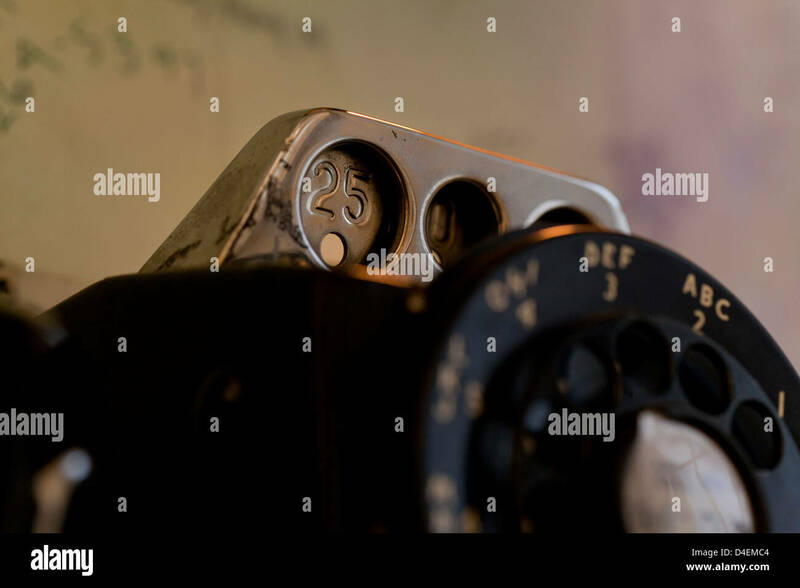 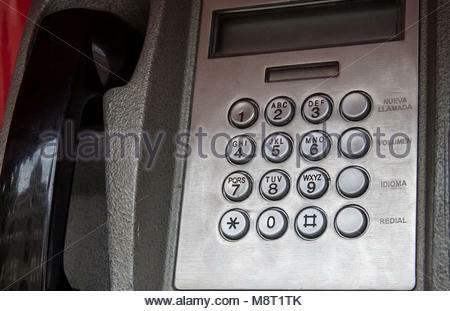 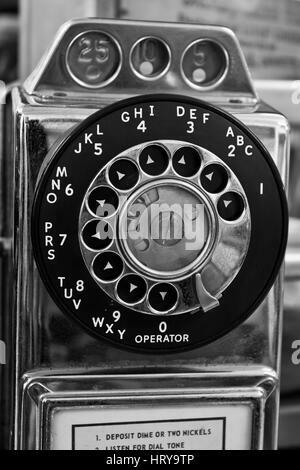 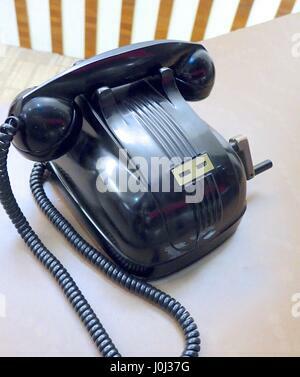 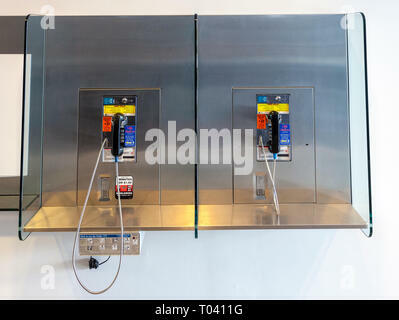 Old pay telephone with coin slots on a wall. 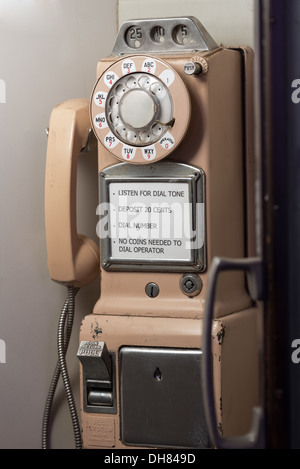 vintage rotary pay phone in booth. 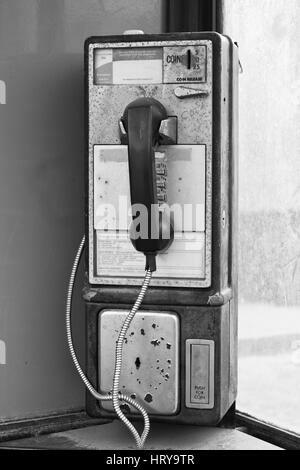 Vintage telephone booth. 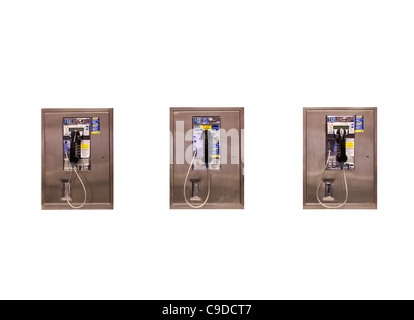 telecommunications Concept. 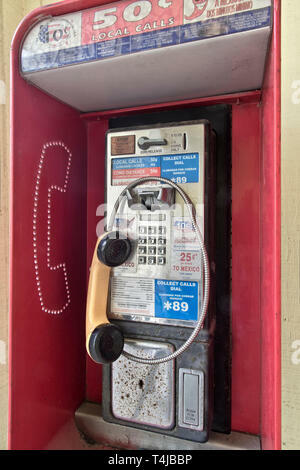 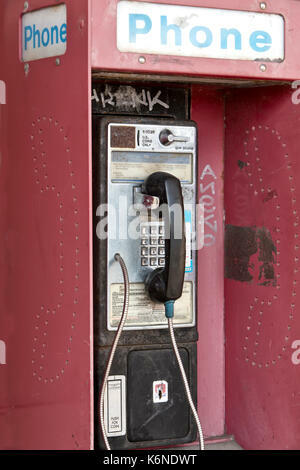 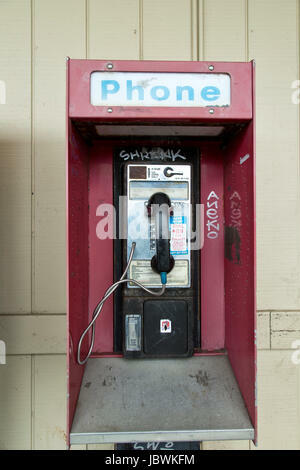 Abandoned coin operated public telephone.